The Police Force Headquarters has launched an investigation into its personnel’s attitude to work. The probe it was gathered was aimed at solving the problems of lazy, unprofessional and mischievous policemen in the system. 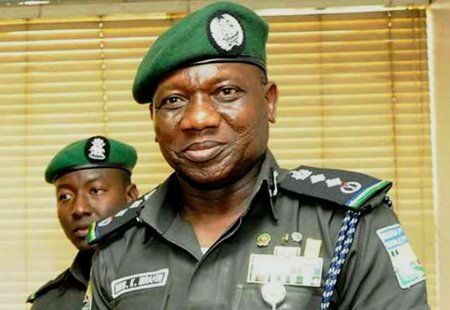 The Assistant Inspector-General of Police, Zone 5, Mr. Rasheed Akintunde, who dropped the hint in Yenagoa, Bayelsa State, yesterday, when he toured the state formation said there was no room for indolence in the police force. He said measures had been put in place to address indolence and poor output among the officers and rank-and-file as part of the ongoing reforms in the system. Addressing the personnel in the state’s police command, Akitunde urged them to be passionate in the jobs boasting that policing is the best profession in the world. Akintunde, said that a study by the police headquarters indicated that only slightly above 20 per cent of the policemen in the country were active and working. He said that the police introduced measures to ensure that the other 80 per cent complement the hardwork of the active personnel for effective policing in the country. He said: “The funniest thing is that only 20 per cent of the police personnel are the ones working, the rest are just there. “Talking about 20 per cent working; if you look at it well, every ‘big man’ wants his own security, they want 30 men to secure them instead of supporting the whole community by saying we should give resources for police to do the work so that the environment will be secured. They only want security for themselves. “Even religious leaders want personal security. So after all that, we find that it’s only 20 per cent remaining to guard other places. Even for government’s commission too, they can load 20 units for it whereas they need only seven, so that’s why the 20 per cent comes in. The AIG explained that effective community policing must be hinged on a three-pronged pillars of sound integrity, hard work and professionalism and urged officers and men of the command to love their job. He said: “You must satisfy three conditions to police well. First, you must have sound integrity, your integrity must not be in doubt. You must not bring those bad things into the job. ” The second thing is that you must be hardworking. Policing is not for the lazy persons. You must be ready at all times because you can be called upon at any hour of the day. “The other part is that you must be professional. You must know what you are doing. Police job is very difficult for those people who don’t have integrity, who are not hardworking and who are not professional but very simple for a man who have these principles. “The job is the best; let us put in our best. We are not supposed to be seeing other agencies doing our work if we are doing it perfectly. Agreed, we lack some equipment we are supposed to use. What I am appealing to you is that let us wake up so that we can beat our chest as policemen and say l can do this and that. In his remarks,, the Bayelsa state Commissioner of Police, Mr. Don Awunah, thanked the AIG on his building visit but complained that the 4,000 police personnel in the state were inadequate to police Bayelsa due to its deltaic nature. Awunah said that though there were some pockets of criminal activities in the state, statistics showed that Bayelsa remained the safest state in the zone at the moment. Awunah said despite the challenge of shortage of personnel, the command under his supervision introduced high visibility policing with human face. He stated that the new system was adopted in collaboration with the Counter-Terrorism Unit, Tactical Strike Force, Special Anti-Robbery Squad, Serious Crimes Unit and the Peace and Conflict Resolution Unit. The Commissioner highlighted some challenges facing the command to include manpower, logistics, working tools and accommodation.